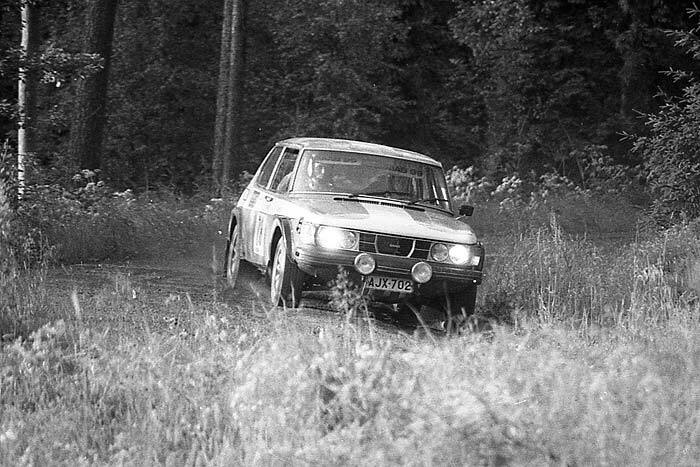 Racing class : Rally Team : Saab Works Finland Model year : 1977 Model : Saab 99 EMS Drivers : Antero Laine, Roger Sandström, TAPIO RAINIO Registration : AJX- 702 Engine : Original engine Saab´s 16- Valve beltdriven EMS- engine Power output : 225 Transmission : Special / Notable : Saab Works Team Finland´s last car. 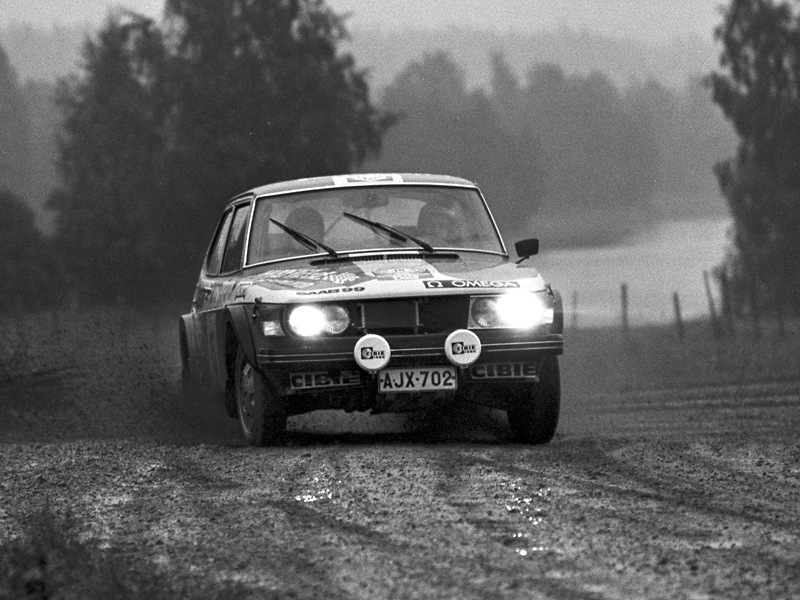 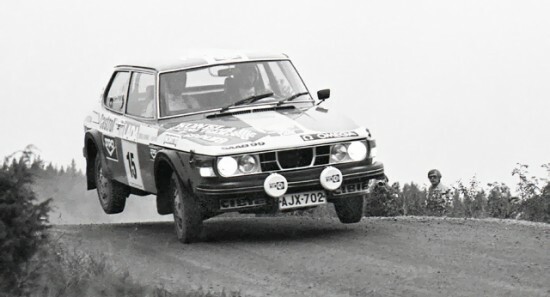 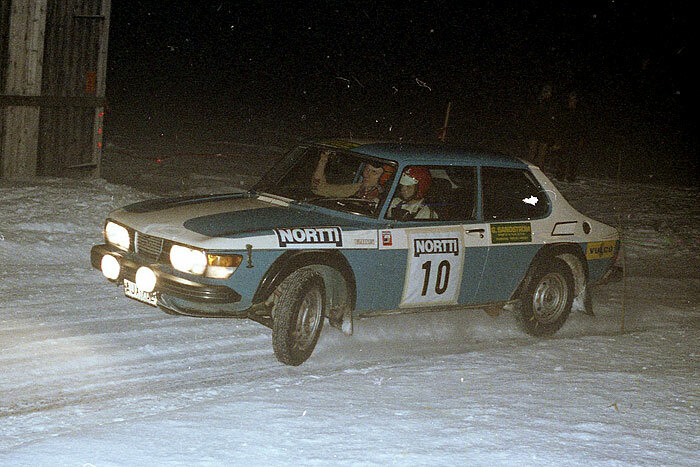 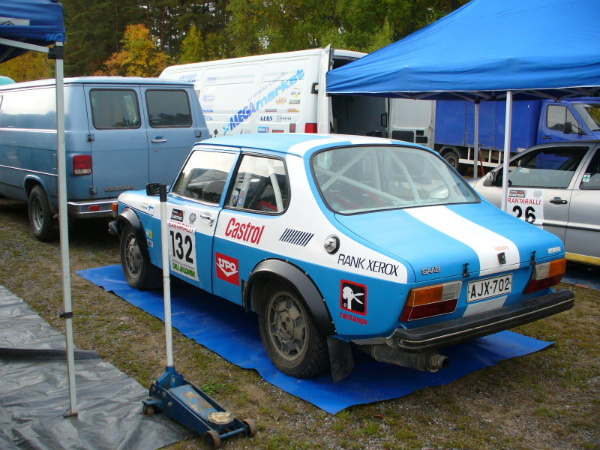 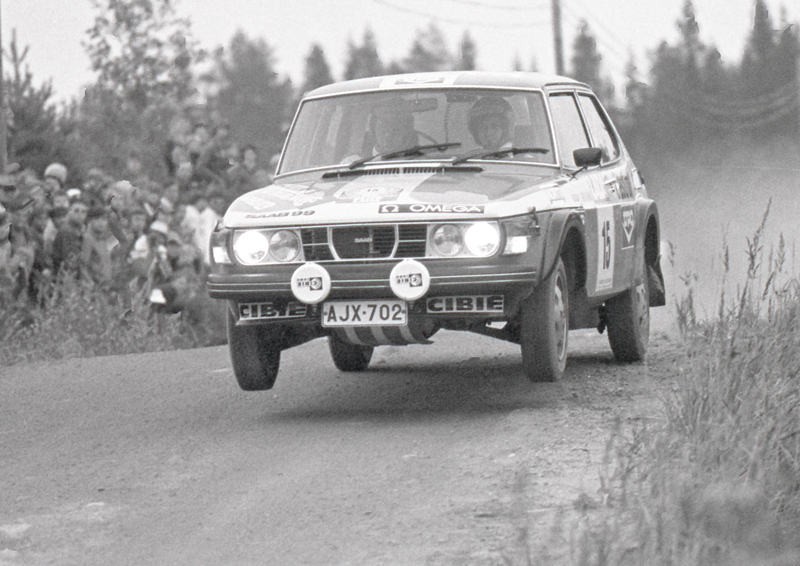 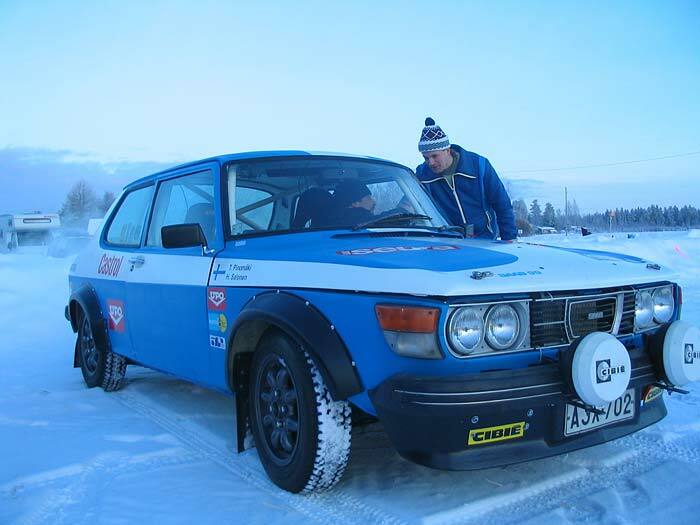 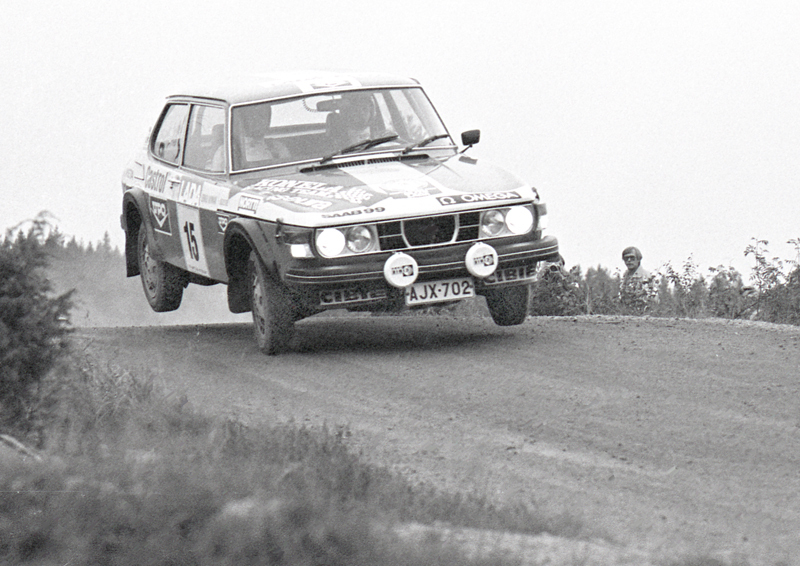 Still in use in Finnish Historic rallies with 8- Valve engine. 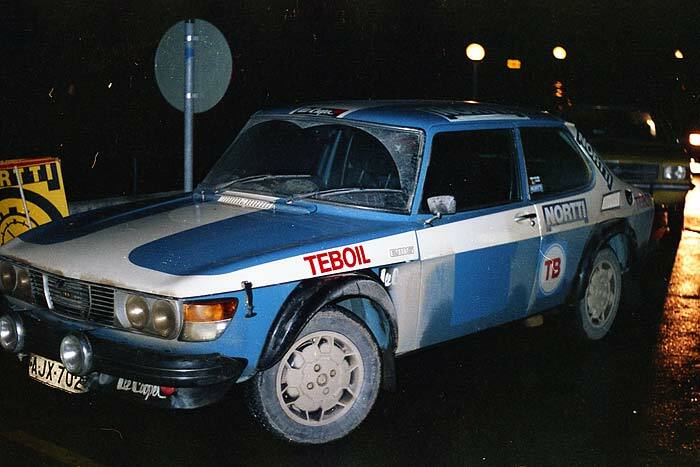 The car has similar colours and stickers as in 1977 1000-Lakes rally.